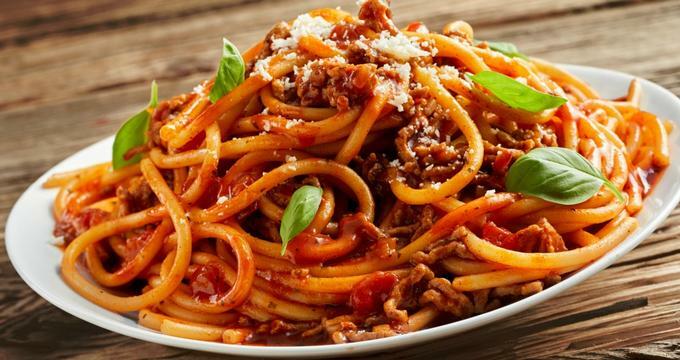 From pasta to pizza, Seattle has an excellent selection of Italian restaurants from which to choose. Whether you are looking for a casual café that serves good coffee and tiramisu, or an elegant fine dining restaurant for a romantic dinner for two, this vibrant, cosmopolitan city has something for everyone. And don’t forget the gelaterias for creamy melt-in-your-mouth homemade gelato. The sun might not always shine in Seattle, but there is always a time for gelato. 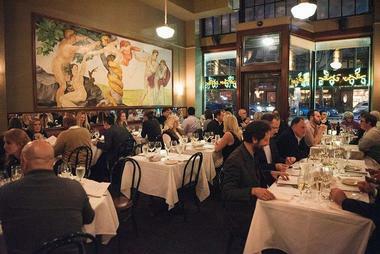 Here are some of Seattle’s best spots to head for classic and delicious Italian cuisine. 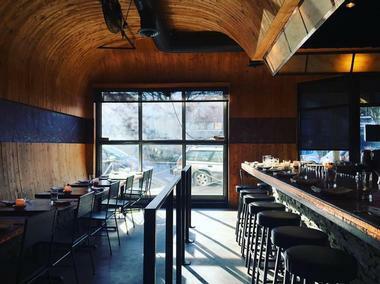 Beloved former pop-up eatery-turned-lunchtime-only restaurant Il Corvo now serves a rotating selection of what might be Seattle's best pasta for a few hours a day for lunch and has the queues to prove it. The order-at-the-counter lunch-only spot serves three to five daily plates of fresh handmade pasta with a variety of toppings like tagliatelle with wild boar ragu, beet spaghetti in a caramelized garlic sauce, or gnocchetti with sweet corn, fresh sage, and cream. For a full complement, add a fresh salad and a delicious dessert, also on the menu. With a bottomless repertoire, admirable seasonality, and an infectious passion, chef, owner, and pasta fundi Mike Easton has a winning formula that has slavering fans returning every day. 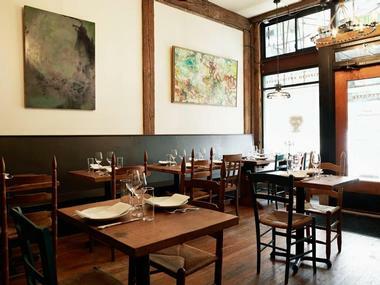 Cascina Spinasse is a bustling, high-end Italian restaurant near the corner of 14th and Pine that serves rustic Northern Italian fare in a cozy, comfortable setting. Garnering much acclaim for its traditional cuisine of the Piedmont region of Northern Italy since opening in 2008, Cascina Spinasse features a warm, open kitchen where diners can watch the head chef and his team create simple, refined dishes using authentic techniques from Piedmont. Dishes such as the heart-warming tajarin al ragu o burro e salvia and rabbit meatballs are firm favorites with Seattleites, while the hearty cavatelli lavished with chanterelles and the rapini ravioli with pine nuts are close seconds. The adjacent bar, Artusi, offers an impressive list of Italian wines, grappas, and other libations as well as small plates and aperitifs. 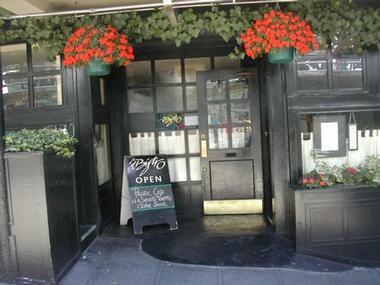 Comfortable and unpretentious, Serafina is an Old World Italian restaurant with a multi-regional menu of traditional Italian cuisine and fine wines and has been a Seattle favorite for years. Tucked away in the Eastlake neighborhood and one of the leading culinary draws of the area, along with the adjacent Cicchetti Kitchen and Bar, which is perfect for pre-dinner drinks, Serafina draws inspiration from the rustic traditions of the Italian countryside to produce an eminently satisfying menu. Signature dishes include pumpkin-leek ravioli, homemade veal meatballs, slow-cooked lamb shanks, and braised rabbit with Parmesan polenta as well as wild-mushroom risotto, steamed mussels, and ragu of duck, veal, and pork. Desserts include sweet profiteroles and a decadent chocolate-hazelnut torte, and the charming vine-entwined courtyard is ideal for alfresco dining in the summer. Helmed by a husband-and-wife team, Altura (which in Italian means both “height” and “profound depth”) is a modest, cozy spot on North Broadway that serves stunning seasonal Italian cuisine. Hailing from the private dining club The Ruins, chef and owner Nathan Lockwood brings his penchant for rococo decadence to Altura – complete with an angel hanging from the rafters – to make diners feel like they are in another world. 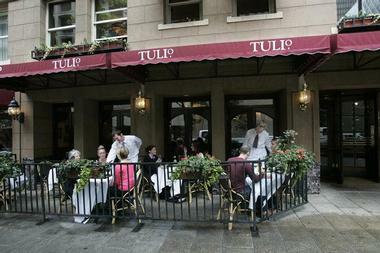 In addition to the decadent décor and excellent service, the cuisine is just as spectacular, with Northwest seasonal ingredients gone Italian rustic to create dishes such as Ellensburg lamb rack with braised neck, Salish Sea halibut, and Muscovy duck with crumbled amaretti and caramel-roasted turnip. Diners can assemble multiple courses from the menu or sample the chef’s tasting menu, which features five plates with small bites in between. Intimate, romantic, and adorned with Renaissance artwork, Assaggio Ristorante is a refined yet informal trattoria that brings the best tastes of Italy to Seattle. Owned and managed by larger-than-life proprietor Mauro Golmarvi, Assaggio’s elegant high-ceilinged, partitioned, and beautifully adorned dining room takes diners on a journey back to Renaissance Italy while they savor ambrosial cuisine such as pappardelle bosciaola with marsala and barolo wine, capellini donato swathed in a meaty Bolognese, and perfect lamb agnello osso buco. The fennel and green apple salad with pecorino Romano and truffle oil offers a lighter touch, while the desserts are simply to die for. 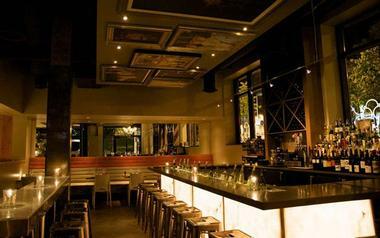 The cuisine is accompanied by a curated list of fine Italian wines with both familiar and lesser-known labels on offer. 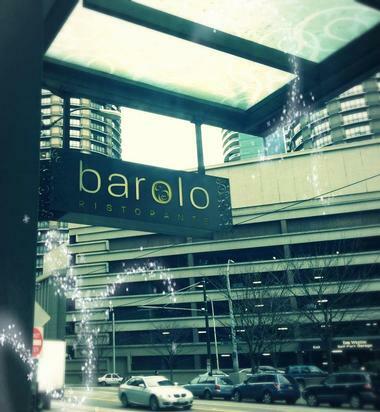 Located in the heart of downtown Seattle, Barolo Ristorante offers a mix of timeless, Old World northern Italian dishes served in an intimate and elegant setting. The long window room decorated with Murano glass chandeliers and soft candlelight sets the scene for the excellent cuisine to follow, which is prepared with locally sourced natural and organic products and presented with contemporary flair. The innovative menu features modern takes on classic Italian cuisine such as antipasti and cheese plates to start, followed by local clams in a rich Arneis wine broth, plump house-made ravioli with hearty fillings, and natural shoulder tenderloin steak. Dessert is worth the calories – try the warm panettone bread pudding – and the impressive wine list includes more than 300 notable labels and varietals from around the world, including Italy, California, Washington, and Oregon. Aptly named, Bizzarro Italian Café is a lively, long-running Italian trattoria-style eatery serving casual Italian fare in a stylish, eclectically decorated space. 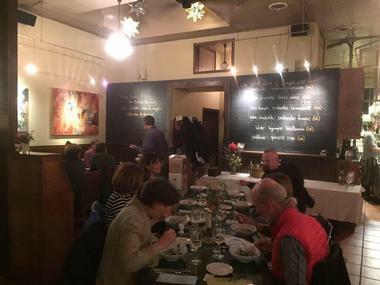 Opened in 1986 by chef and visual artist David Nast, the alternative Wallingford Ristorante has been serving loyal customers and serious food people for more than 20 years and continues to remain a stalwart in the Seattle dining scene. Boasting red brick walls, ceiling-suspended furniture, and gilt-framed artworks, the engaging restaurant offers delectable Italian cuisine made with the finest ingredients ranging from gnocchi in pork sugo di maiale and pappardelle pasta in an effusive elk Bolognese to a hefty lamb shank served in a fig-based demi-glace on top of a polenta cake and braised kale. 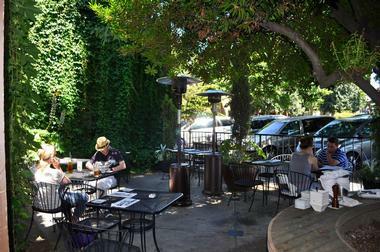 Daily specials rotate on the chalkboard and Saturdays are always packed, so be sure to reserve a table. Named in honor of M. F. K. Fisher’s 1942 paean to eating simply, How to Cook a Wolf is a tiny neighborhood eatery with a barrel-vaulted ceiling and copper lighting that serves sophisticated Italian-Mediterranean fare. 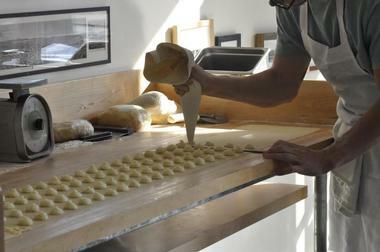 One of chef Ethan Stowell’s enterprises, How to Cook a Wolf celebrates small plates and uncomplicated rustic pasta made with natural, locally sourced ingredients and prepared with earthy precision. Signature dishes include pinky-perfect duck with beets and mandarin oranges, orecchiette pasta with cauliflower, garlic, and anchovies, and trofie pasta rolls with creamy parsley-walnut pesto. The wine list features easy drinking and fine wines from various regions in Italy, as well as Prosecco and Champagne for a touch of fizz. 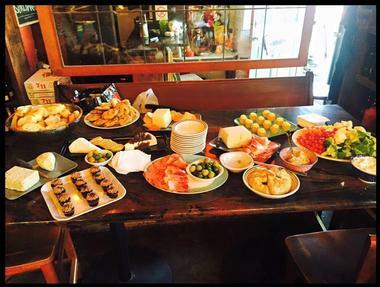 La Rustica is a homely neighborhood trattoria that offers a cozy, home-away-from-home spot in which to enjoy classic Italian fare. Based in a converted house with a lovely patio for outdoor summer dining, the dining room boasts a Roman feel with mottled walls, dripping grape vines, and interior street lights. 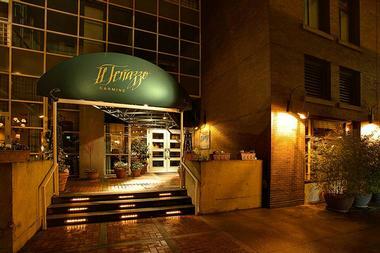 The menu features traditional Italian fare cooked from old-country recipes, such as antipasti plates of bruschettas, meats and cheese, handmade pasta and wood-fired pizzas, ample helpings of gnocchi and house-made sausage, and a renowned lamb shank special with risotto and grilled vegetables. A wine list offers easy drinking wines to complement the food and desserts shouldn’t be missed! Innovative design and age-old Italian tradition come together in modern comfort at Mamma Melina Ristorante & Pizzeria, which serves an extensive selection of traditional Italian food and wine ranging from seasonal antipasti platters, house-made pasta, and wood-fired Neapolitan pizzas to entrees of grilled meat and ocean-fresh seafood. The open, airy dining room features an incredible array of ceiling art and offers a comfortable, relaxed ambiance in which to dine, while a lively bar serves an impressive collection of notable wine labels from around the world, specialty cocktails, craft beers, and imported spirits and Italian grappas. 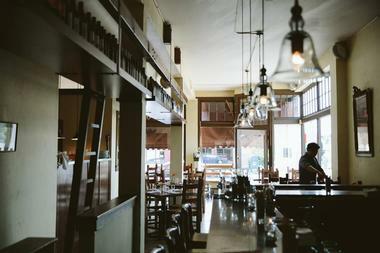 Late-night diners can tuck into small plates and antipasti from the bar menu. Helmed by native Italian chef-sommelier Marcello Giuffrida, Ristorante Doria is a cozy, neighborhood eatery that serves classic Italian fare in a warm and welcoming setting. Named after his mother, from whom he learned to “love good food and vibrant flavors,” Ristorante Doria is the place to go for feel-good comfort cuisine. 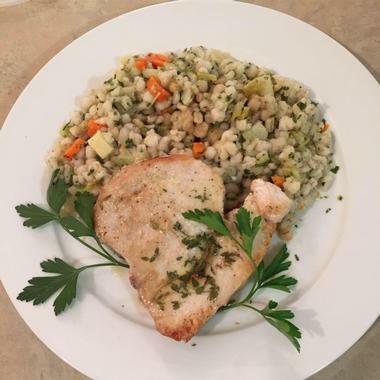 The menu features traditional offerings such as antipasti, appetizers and small plates, freshly prepared soups and salads, homemade pasta dishes (gluten-free options also available) and hearty entrees of risotto, chicken, veal, lamb, and fresh seafood and fish. Desserts feature the regular favorites such as tiramisu and panna cotta, and there is a kids’ menu with smaller servings and a happy hour menu with a variety of specials. Located on the corner of Pine and Melrose in a cozy little corner in Capitol Hill, Ristorante Machiavelli is a shadowy little restaurant and bar that bustles with energy. Boasting only 14 tables, the busy little eatery attracts a vibrant crowd and offers excellent people-watching in addition to the enticing cocktails and Italian cuisine. Seasoned servers carry plates of saucy classics such as creamy alfredo, excellent carbonaras, and steaming marinaras, and house specialties like veal parmigiana and saltimbocca, and prime filet mignon. Don’t miss the delicious vanilla bean cheesecake for dessert and savor a glass of fine Italian wine while soaking up the beautiful view of downtown Seattle. Another hotspot from acclaimed restaurateur Ethan Stowell, Tavolàta (meaning “to gather around a table”) is a comfortable, stylish eatery in Belltown that serves delectable Italian cuisine. 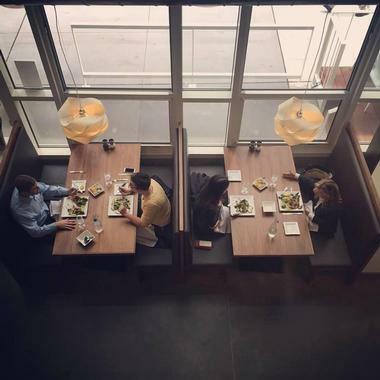 The favorite lofted urban hot spot features concrete-and-wood finishes and a big communal table in the center that draws crowds to gather, eat, and chat. Diners at this Italian gem can have bruschetta and salumi boards to start, followed by out-of-this-world pasta from conchiglie and casa recce to linguine and rigatoni, and entrees of salmon, lamb shank, and beef short ribs with grilled sides. Nightly happy hours are packed, and monthly Sunday feast dinners see four-course family meals served at the communal table. Once Seattle’s first cult restaurant, this saucy Italian eatery in Pike Place Market is warmly lit and intimate and the perfect place to slip into for a quiet dinner for two against a backdrop of breathtaking views… and a bit of burlesque after 11 pm on Saturdays. Boasting a secret entrance (just a pink door off Post Alley), dripping chandeliers, and Parisian flea market décor, The Pink Door oozes a certain bohemian charm and features a rustic menu of delicious Italian fare and fine wines. Begin with antipasto plates of savory morsels or crispy bruschetta followed by gnocchi with wild mushrooms, Tuscan grilled chicken, or perfectly (and appropriately) pink Muscovy duck. Desserts are designed for indulgence with apple crisp and bread pudding on offer and warm afternoons are given over to the rooftop terrace of Pike Place Market, where pink vodka cocktails can be sipped and linguine twirled as the sun sinks over the Puget Sound. Café Lago is a street-side Italian café on 24th Avenue that serves authentic and exemplary Italian fare in a casual, bistro-style setting. 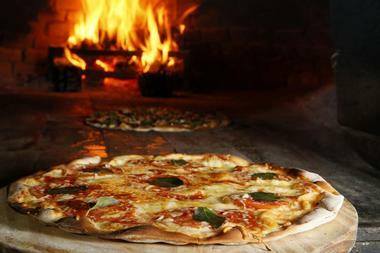 The relaxed restaurant has long a been a favorite among locals and is renowned for its paper-thin lasagna and traditional wood-fired pizzas that have diners returning time and again. 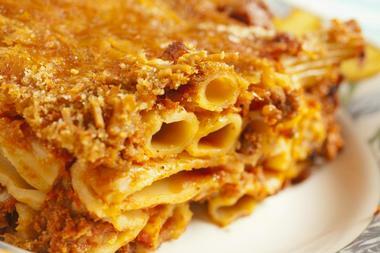 This casual neighborhood joint has fast become a dining destination with an array of superb Italian cuisine to enjoy, from finger-licking antipasti, handcrafted pasta such as creamy gnocchi, featherweight lasagna and chunky ravioli to crackle-crusted wood-fired pizzas and hearty entrees. Sip handcrafted cocktails, fine wines, or imported Italian grappas as you soak up the vibe. Cantinetta is a chic Tuscan-inspired restaurant that delights diners in Wallingford and West Bellevue with an array of rustic Italian fare like rotating antipasti, contorni, house-made pasta, and meaty entrees. Skillfully prepared using only the freshest, seasonal, organic, and locally sourced ingredients and cooked in a traditional Tuscan way, magical dishes featured include casoncelli with pancetta and amaretto crumbles, tortellini in brodo, asparagus and black pepper risotto, and the signature bistecca al Cantinetta served with fingerling potatoes and pancetta in a vino rosso sauce. The dining room boasts farmhouse minimalism-style décor with wrought-iron chandeliers and plank tables, and the friendly neighborhood ambiance attracts a vibrant and ever-returning crowd. 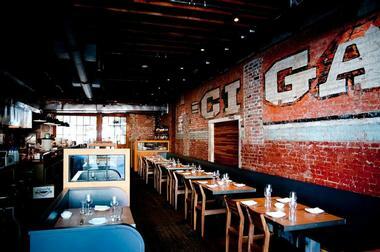 Named after one of the most beautiful places on Italy's Riviera, Cinque Terre (five lands) is a new addition to the Seattle dining scene and serves a range of cuisine from the Liguria region. Based in Amazon's new Doppler Building in the heart of Seattle's Regrade District, Cinque Terre offers a menu that focuses on the cuisine found in the five “mariner” towns of the Liguria region and includes fresh locally caught seafood, house-made pasta, and artisan pizzas as well as an oyster bar. 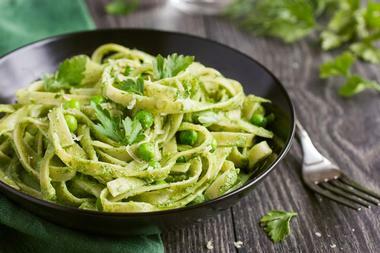 Pesto, the flagship of tradition in the area, is freshly made in-house everyday with the highest quality ingredients and served with many of the traditional Ligurian dishes, which range from stoccafissu (dry-aged cod), gianchetti (anchovies), muscoli (mussels), gamberi (shrimp), polpo (octopus), and others. 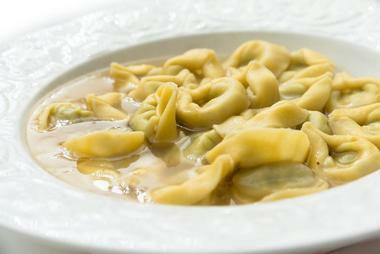 Cinque Terre is open daily for lunch and dinner. Tucked away beneath the Pike Place Market, Il Bistro is a warm and welcoming Italian restaurant that has been serving loyal patrons and visitors alike for more than 30 years. Exuding the ambiance of a tiny candlelit Italian trattoria nestled in the foothills of Tuscany, Il Bistro uses fresh, locally sourced ingredients to produce a seasonally changing menu of classic and traditional Italian cuisine. Market-fresh seafood is a focus on the menu, with dishes such as grilled calamari in a garlicky butter and gamberoni (white king prawns) in Italian vermouth, followed by seared local king salmon in black truffle butter. Other signature dishes include risotto de giorno, pollo cannelloni, and linguine di mare heaving with an array of fresh seafood. A cozy bar serves vintages from Italy, the Northwest, and California and specializes in martinis, single-malt Scotches, bourbons, and grappas. La Medusa offers a different take on classic Italian cuisine with a menu that focuses on the bold, briny flavors and Moorish influences of Sicilian food and wine. Creating enticing, Mediterranean and Sicilian-inspired dishes using locally sourced organic ingredients as well as finest quality imports, La Medusa’s seasonally changing menu features classic and signature plates such as salt cod fritters in tomato sauce with capers and garlic, spaghetti con le sarde scattered with sardines, raisins, pine nuts, and olives, and pan-roasted sockeye salmon served with Greek lentils, pea wine, and morels. Also on the menu are traditional crispy-crusted pizzas with various toppings, and kids are given a hunk of pizza dough on arrival to keep them occupied. Osteria La Spiga is a welcoming neighborhood eatery that serves a menu of authentic Italian cuisine from the Emilia-Romagna region in a sophisticated setting. Based on what was once a hangar-like garage in the Piston and Ring Building, the restaurant boasts urban accents of concrete and warm wood with floor-to-ceiling windows, a soaring ceiling, and an outdoor deck with stunning views of the Capitol Hill scene. Black-clad waiters wield plates of house-made tagliatelle and tortellini served with crisp flatbread piadina, sides of grilled-to-perfection vegetables, and hearty meat entrees, while the desserts will soften even the hardest food critic. Osteria La Spiga also has an impressive award-winning wine selection that has earned the Wine Spectator's Award of Excellence five years in a row. So-named for the original eponymous hand-painted signs found behind a plaster wall and their “staple” a la carte offerings and “fancy” chef’s tasting menu, Staple & Fancy is possibly the most exciting of local super-chef Ethan Stowell's various Italian-inspired ventures. Based on what was once a machine/mercantile shop in the historic Kolstrand Building, the stylish restaurant oozes a cosmopolitan energy with an open kitchen that produces tantalizing cuisine such as mussel brodo with controne beans and green chilies, velvety pork liver mousse on crostini, and daurade over eggplant puree with Kalamata olives and cherry tomatoes. 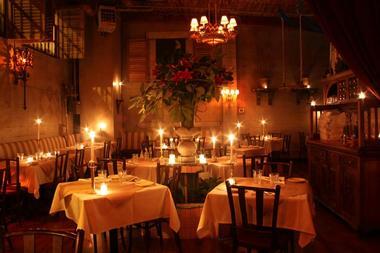 Diners can choose the “fancy” chef’s tasting menu of four courses or the “staple” family-style a la carte menu. Whatever you decide, it’ll be a winner. 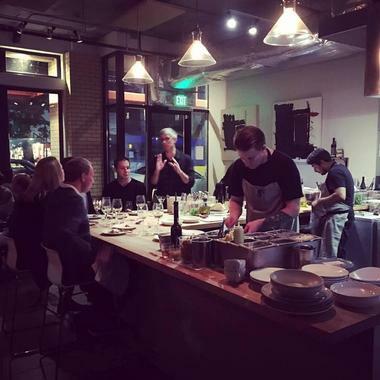 Located in the Madrona neighborhood of Seattle, Vendemmia is Chef Brian Clevenger's first dining establishment and offers an Italian-inspired menu of delectable dishes prepared with high quality, locally sourced and seasonal ingredients. Keeping both space and menu small and simple, Chef Brian creates raw crudo – think oysters and beef carpaccio, handmade pasta, fresh and seasonal vegetable creations, and mouthwatering entrees of scallops, pork, and prime beef steak. An airy, industrial interior gives the restaurant a contemporary edge, which is softened by the magical cuisine, fine wines, and warm hospitality. 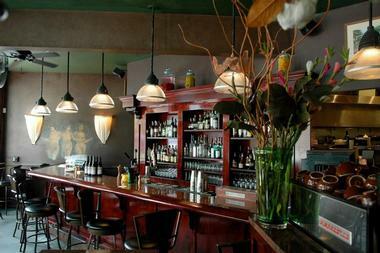 Named after a quaint town in the Tuscan hills, Volterra brings an authentic taste of Tuscany to Seattle. Boasting two locations on rustic Ballard Ave and newfangled Kirkland Ave, Volterra serves contemporary Italian cuisine and fine wines in a rustic and romantic or a stylish and sophisticated setting – depending on the location. Sip signature Tuscan Limoncello Rosemary Drop cocktails as you decide between the wild boar tenderloin with rich Gorgonzola cream, the savory orecchiette in a rich lamb ragu, or the pork jowl and wild mushroom with truffle-butter pasta. Desserts include a mouthwatering tiramisu and chestnut panna cotta, and the impressive wine list features well-known and lesser-heard-of wine labels from regions around Italy, on which the knowledgeable staff will advise.